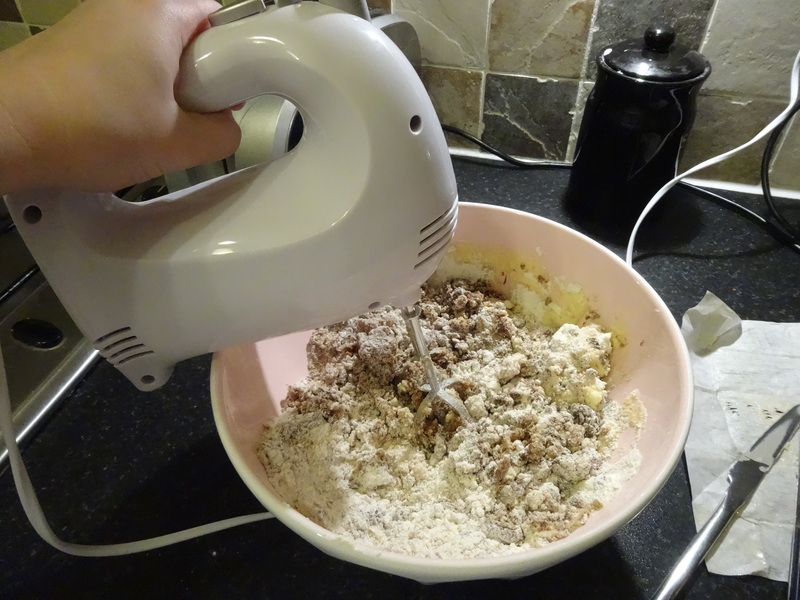 1) Sift the flour, bicarbonate of soda and spices together in to a large mixing bowl, or the bowl of a stand mixer, making sure they are well combined. 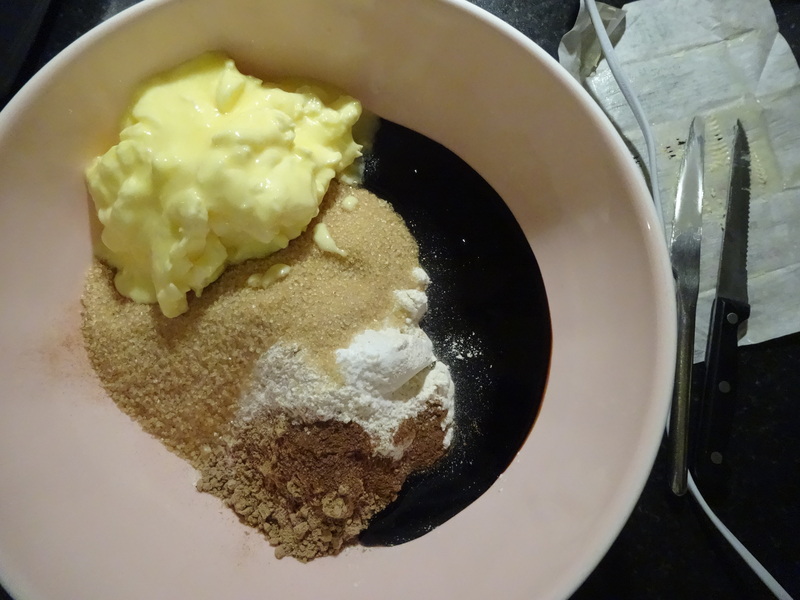 2) Add the butter and, if making by hand, rub in before stirring in the other ingredients to make a dough. 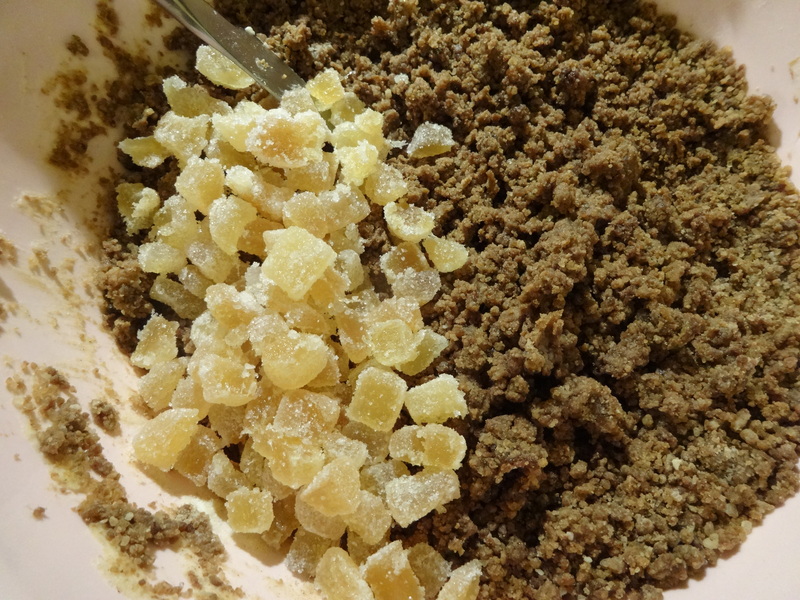 If using a mixer (which will be easier) just add the butter, sugar and treacle and mix until well combined, then mix in in the crystallised ginger. 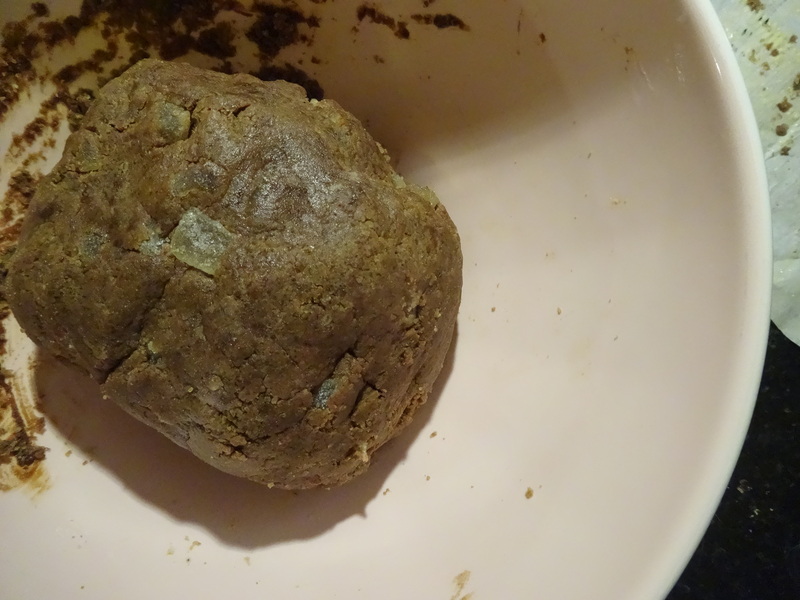 3) Bring together into a coherent dough, roll out on a lightly floured surface to about 1cm thick, wrap in cling film and chill for about 2 hours. I mixed around the steps here and cut out first, then chilled the shapes (they were nearly stars and Santa, but luckily I found an office and seasonally appropriate cutter). I chilled for as long as it didn’t make bed time ridiculously late, so not very long at that point. 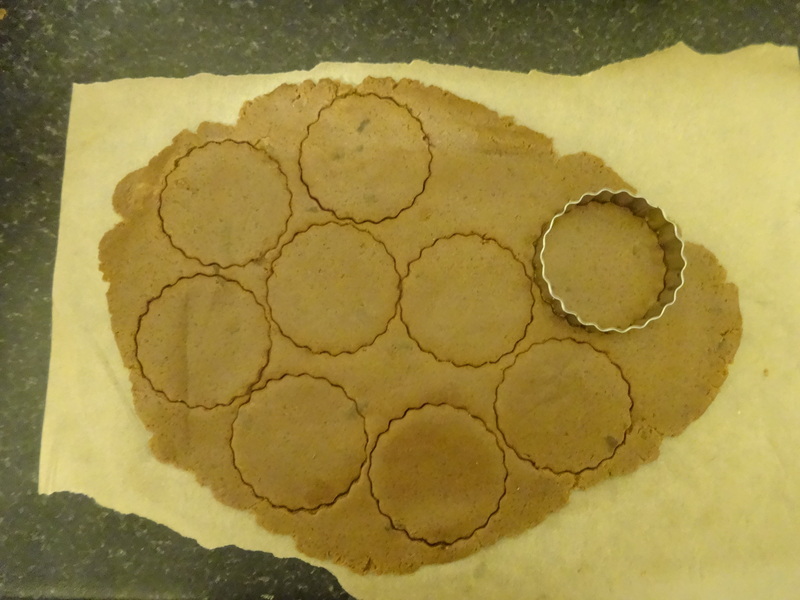 And I chilled on baking tray sized bits of greaseproof paper, for ease of dropping onto baking trays before cooking. Note to self: BUY A ROLLING PIN!!! seriously, I forget this every time I have to bake something flat… In an emergency, a round glass does OK.
4) Heat the oven to 140°C (fan oven)/ 160°C/ gas mark 3. 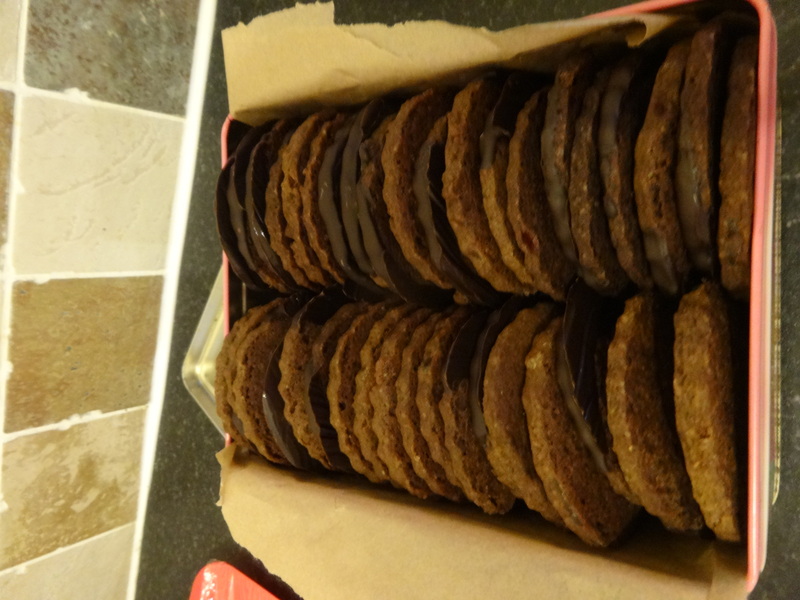 Cut out the biscuits. 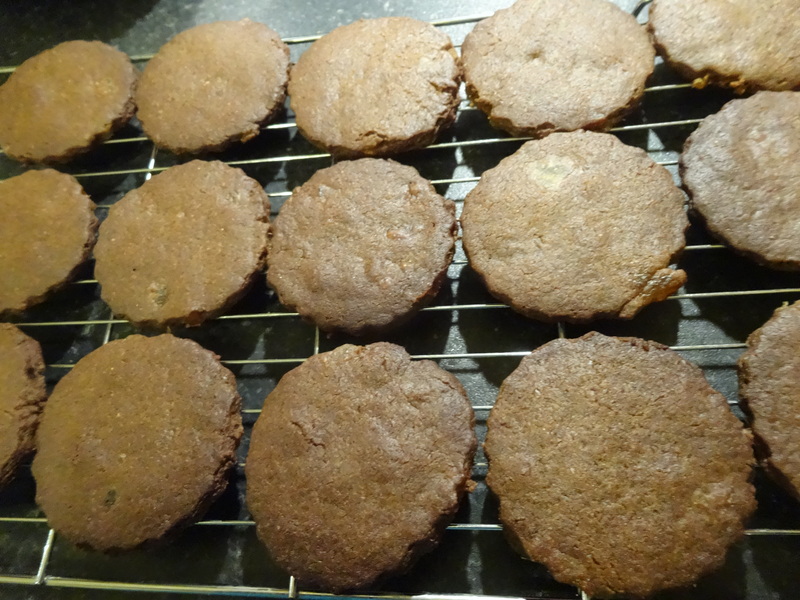 Arrange, well spaced out, on two lined and buttered baking trays, then bake for 25 minutes. 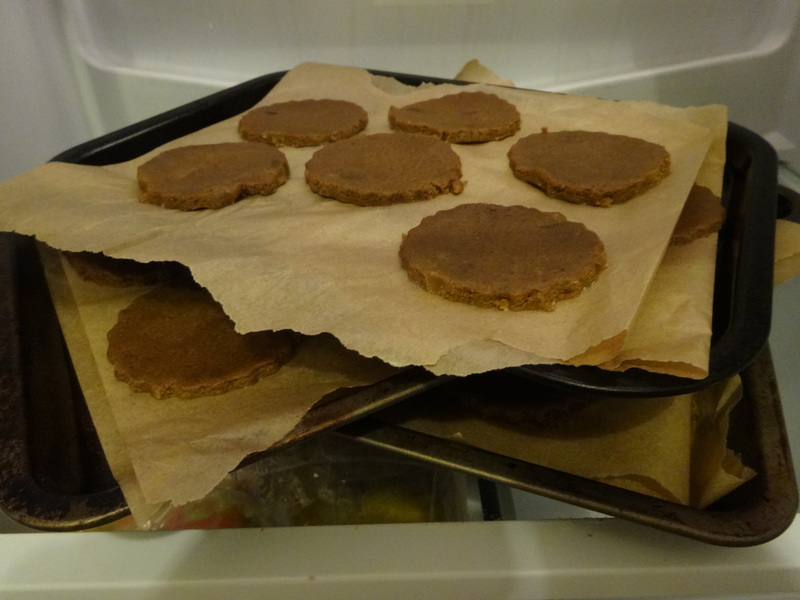 5) Allow to cool on the baking tray for 10 minutes until they have firmed up a bit, then transfer to wire racks to cool completely. 6) Elinor’s special optional step, dip them in dark chocolate 🙂 The tastes work together really well and they seem a lot more luxurious. 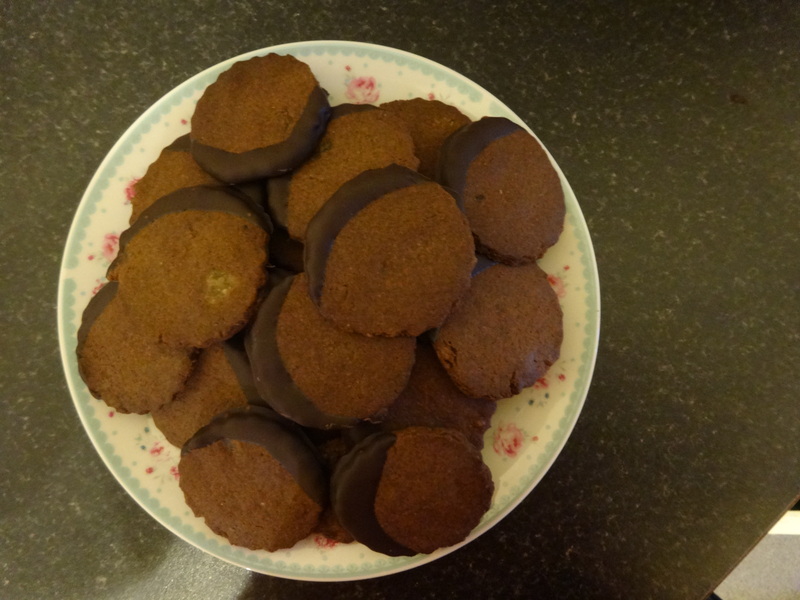 I simply melted 100g of dark chocolate in a small bowl in the microwave, and dipped the biscuits in. A narrower container would give more dipping depth, I could only get the edges in. 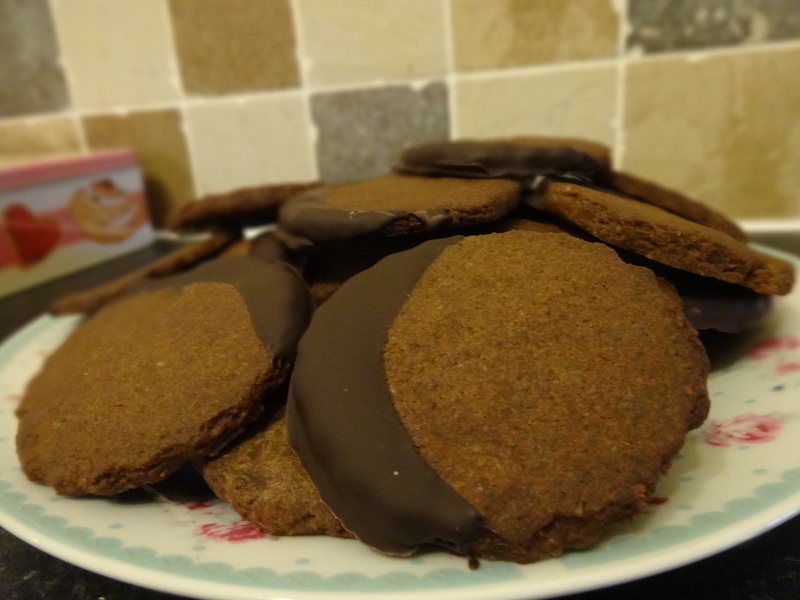 I cooled them in the fridge on chopping boards wrapped in cling film, it worked well and the set chocolate peeled off easily. 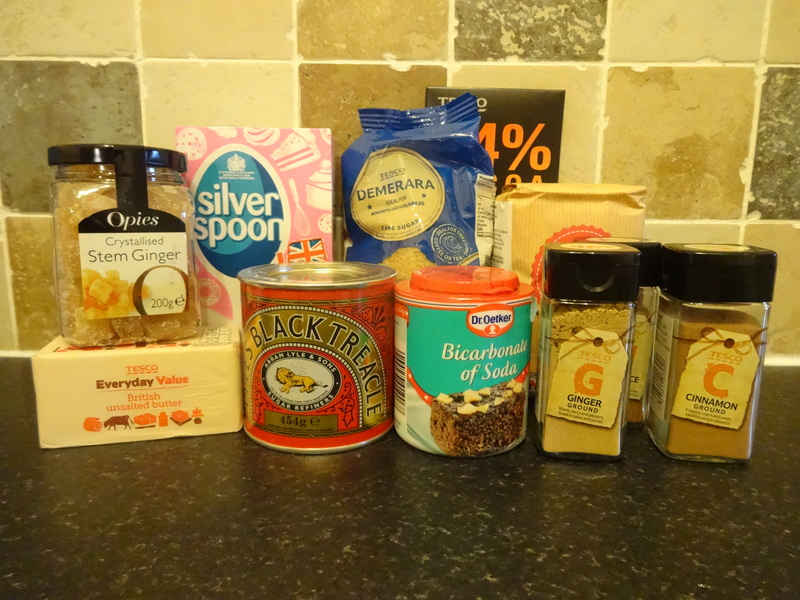 This entry was tagged baking, biscuits, ginger. Bookmark the permalink.